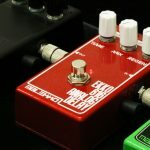 For years, Malekko has been synonymous with the best quality BBD delays available. 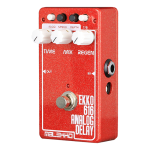 Today the evolution continues with the EKKO 616 MKII, a full featured yet compact delay with external modulation controls, an optional buffer, internal level pot and 650ms of pure analog bliss! 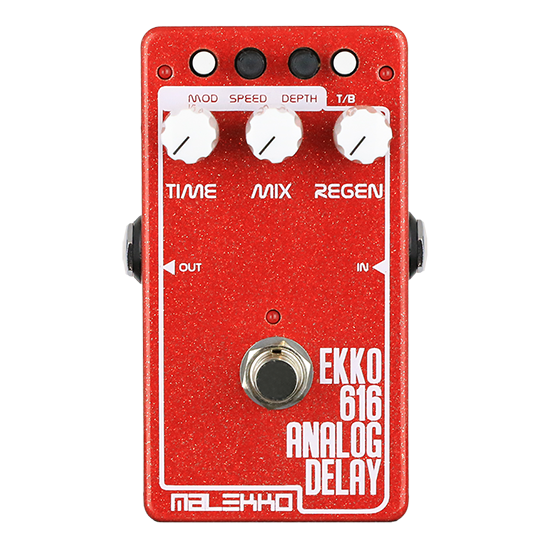 Not content to leave well enough alone, we decided to go through every aspect of our acclaimed EKKO 616 to see how it could be improved upon. Every detail was scrutinized, data sheets compared, parts swapped, and hours of listening followed before we were satisfied. These resulting hand picked components of the highest quality are used to achieve what we consider the nicest sounding, most musical analog delay pedal we’ve made! The E616 MKII’s specially voiced repeats allow a larger bandwidth to pass than most traditional analog delays. Turn the mix pot all the way up and the repeats will be slightly louder than unity with the dry signal. The regeneration pot will take you from a simple slapback to a nice gentle decay of a few repeats then all the way to taking off into outer space with just a turn of the pot! 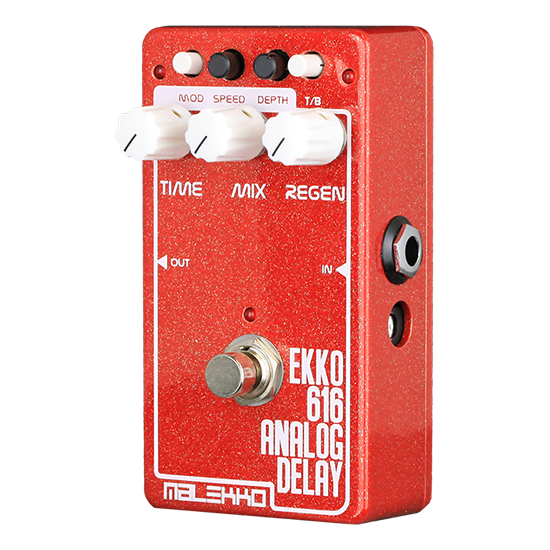 Engage the modulation button and the EKKO 616 MKII takes on a whole new personality, from subtle chorusing or beautiful vibrato to way WAY beyond. Choose between true bypass or buffered bypass. 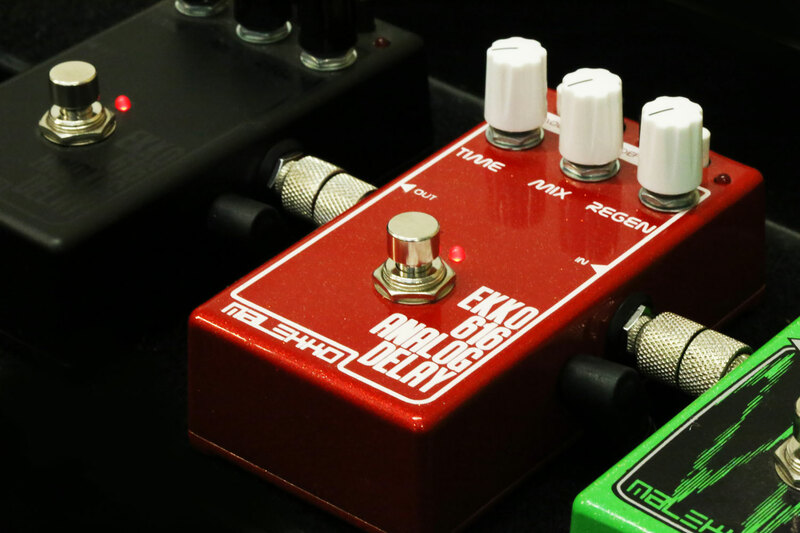 The EKKO 616 MKII’s revised buffer circuit is smooth and transparent, even with many pedals on your board. Tired of annoying volume drops? 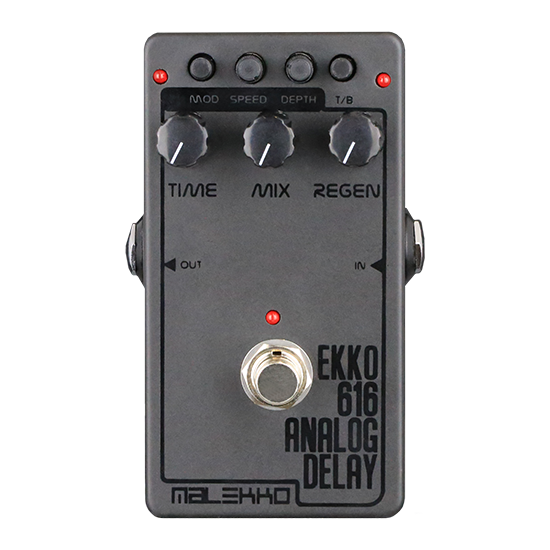 An internal trimpot (labeled “gain”) will allow you to set the EKKO 616 MKII’s level to your specific setup. – Improved buffering circuit resulting in flat response and allows hotter inputs, which makes it great for keyboard or outboard use! 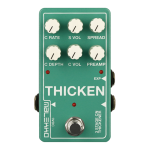 These changes add up to a cleaner, richer, sweeter, more flexible and musical analog delay. Even the EKKO 616 can appreciate that! AND at the same low price! Awesome! At Malekko, we are constantly looking at ways to improve our products. We enhanced our EKKO 616 using the highest quality components to provide you the ultimate expression of our vision. Enjoy. Well, I say, enjoy. If your 616 has a green board inside, you have an EKKO 616. If your 616 has a blue board inside, you have an EKKO 616 MKII. We calibrated the 616 MKII to allow for longer delay times than the original 616. In any analog delay, its longest time settings result in lower fidelity and may even generate odd sound artifacts. Positioning the TIME pot to roughly 3 o’clock will approximate the original 616’s longest delay time and its fidelity.